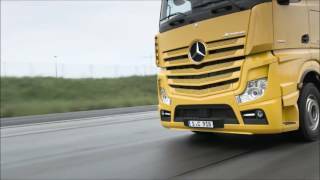 Daimler Trucks demonstrated the new Highway Pilot Connect system for autonomous truck platooning on the A52 autobahn near Düsseldorf. 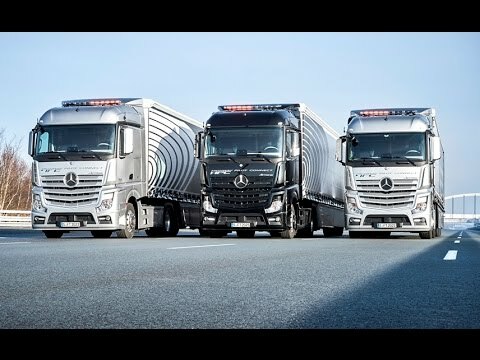 Three WiFi-connected, autonomously driving trucks operated on the autobahn with authorization for public traffic in a platoon formation. 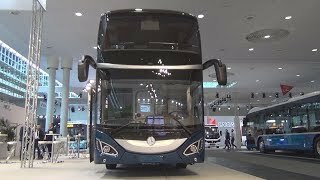 Such a combination can reduce fuel consumption by up to 7% and the road space requirement on motorways by almost half, while improving traffic safety at the same time, Daimler said. 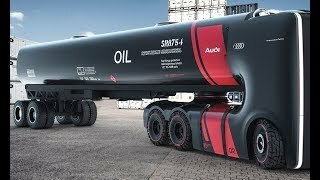 Based on the Daimler Trucks Highway Pilot system for autonomously driving heavy trucks (earlier post), the three trucks link up to form an aerodynamically optimized, fully automated platoon. Connected vehicles in a platoon require a distance of only 15 meters instead of 50 meters between them. This considerably smaller distance produces a significant reduction in aerodynamic drag—comparable to slipstream riding in cycling competitions. In this way a platoon of three trucks can achieve the ~7% fuel saving, resulting in fuel consumption figures of around 25 l/100 km (9.4 mpg) possible for a loaded semitrailer combination with a gross weight of 40 t. This corresponds to a consumption of only 0.66 l/100 km (356 mpg) per tonne, or CO2 emissions of 13.3 g per kilometer per tonne. 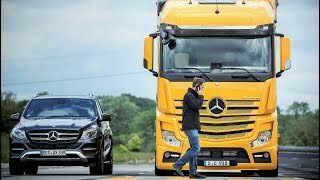 In parallel with this, platooning allows much more efficient use of the road space: thanks to the shorter distance between vehicles, a platoon of three linked trucks has a length of only 80 meters. In contrast to this, three trucks which are not electronically docked require a total of 150 meters of road space. 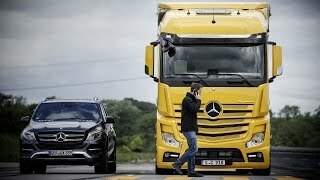 At the same time platooning makes road traffic much safer: while a human behind the wheel has a reaction time of 1.4 seconds, Highway Pilot Connect transmits braking signals to the vehicles behind in less than 0.1 seconds. This considerably reduced reaction time can make a major contribution towards reducing rear-end collisions such as occur e.g. when encountering traffic jams on motorways. The smart, self-optimizing truck has the highest priority for us. 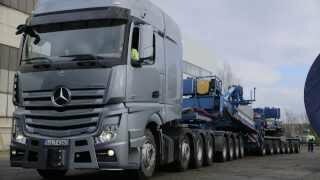 Using connected communication between the truck and other vehicles and the surroundings, we can improve traffic flow and lower fuel consumption and emissions. 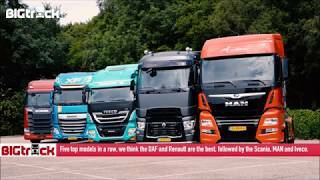 At the same time intelligent trucks help to lower the number of traffic accidents. This is an important step on our way towards accident-free driving. The basis of Highway Pilot Connect is networking between vehicles and precise awareness of the surroundings. 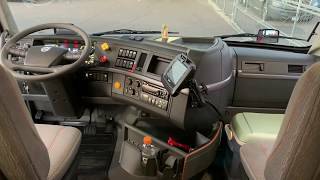 Highway Pilot Connect is a further development of the well-tried Highway Pilot system by Daimler Trucks. 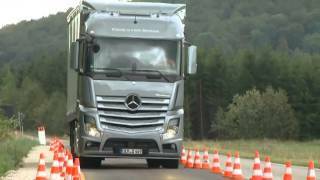 This system allows trucks to drive semi-autonomously, and has been under test since October 2015, in a standard Mercedes-Benz Actros operating on public roads in Germany. The Highway Pilot was first presented in July 2014, in the Mercedes-Benz Future Truck 2025 study, followed by the very first public road authorization for an autonomously driving truck in May 2015, for the Freightliner Inspiration Truck (earlier post). Compared to the Highway Pilot, Highway Pilot Connect has the additional technical function for electronic vehicle docking. Communication between vehicles is made possible by an onboard telematics platform. A specific V2V (vehicle-to-vehicle) communication module using a special WiFi standard reserved exclusively for automotive enables direct data transfer between the trucks. Highway Pilot Connect uses this for a constant exchange of information with other trucks and the environment. Because of their technology, all the members of such a platoon continue to be autonomously driving trucks. 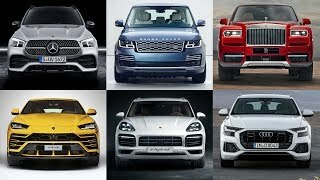 They are able to maintain their direction independently of the vehicle ahead, and thanks to their combination of linear and lateral guidance, they can react to unexpected situations at any time. This also applies if other vehicles cut into or leave the platoon’s space. In this case the vehicle can smoothly disengage from the platoon and continue alone in autonomous mode. The driver does not need to intervene. Docking three or more vehicles together becomes particularly interesting in countries with a corresponding infrastructure. In the USA or Australia, for example, trucks cover long distances without bridges and exit roads on highways crossing the entire continent. 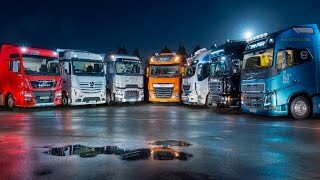 Daimler Trucks is participating in the European Truck Platoon Challenge 2016 (EU TPC)—an initiative of the Netherlands during their ongoing EU presidency—with its three Mercedes-Benz Actros Highway Pilot Connect trucks. Why should I remove my hands from the wheel. so if the first driver screws up when there is a manual lane change, it affects all other trucks as well? Die beiden alten modelle waren vom Motor legendär! Der neue Motor hört sich echt kacke an! Bitte macht wieder den alten!! !